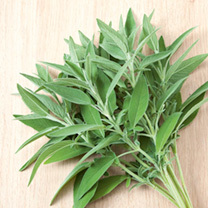 A favourite herb for seasoning and stuffings. Excellent with pork. May also help digestion and sore throats. Perennial. Height 45cm (18"). Simon says: "I like to deep fry the sage leaves as it gives a great flavour and texture to our poultry and pork dishes and also neutralises any bitterness." 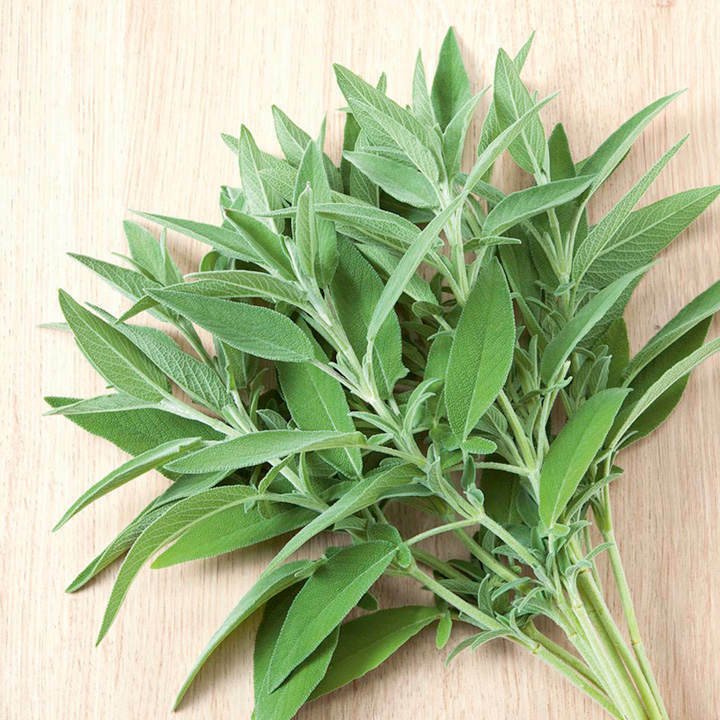 Perhaps the most favourite herb!